Cisco in the connectivity space. 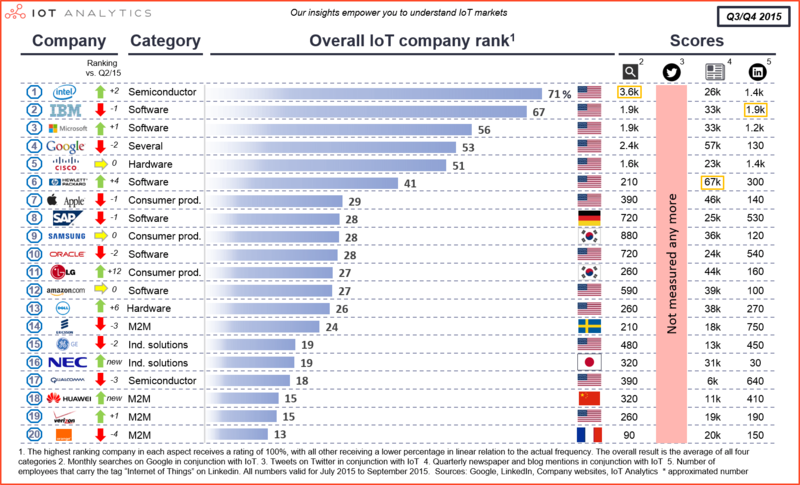 Intel is reclaiming the top spot in the top-20-ranking of IoT companies. Intel’s Q3 IoT revenue came in at $581M. of new IoT-enabled appliances, a smart sensor, a smartwatch and at the same time the company is working on the next generation 5G telecommunication network for IoT. Japanese IT company NEC made headlines in Q3 with an announcement that it is increasing the employee count in its IoT division by a factor of five until 2020. The company is developing encryption technology as well as solutions. General Electric is the clear leader in terms of self-reported IoT revenue as the company is forecasting $5B in IoT-related revenue in 2015. 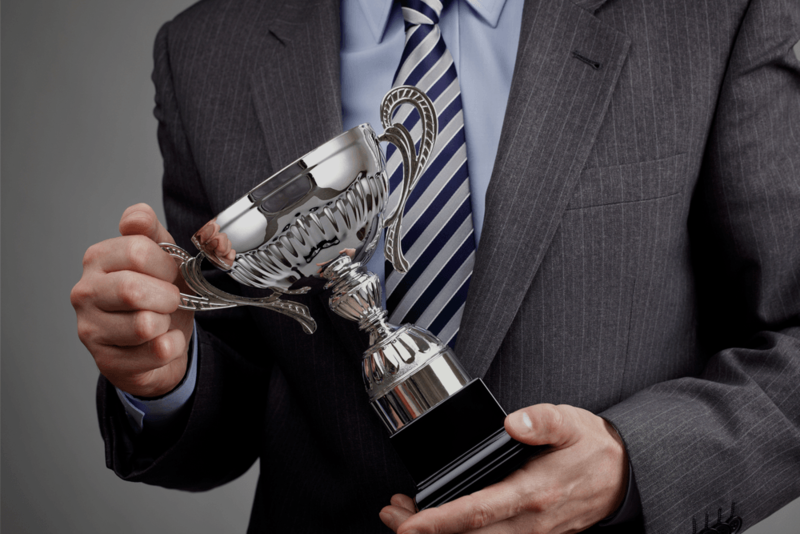 However, the IoT company ranking which measures employee activity, news appearances and online searches, does not mirror this clear leadership position that GE is claiming. The report points out the difficulty in comparing IoT revenue of different companies: Very few companies break out IoT revenue separately and of those that do some companies announce numbers that are not part of their official reporting, leaving questions about the value of the announced IoT revenue. The big tech names Google, Apple, and also Facebook are losing ground in the ranking as these companies continue to focus more on their core business, rather than on IoT. Hewlett-Packard and Dell, on the other hand, are on the rise. IoT revenues are growing on average at around 20-25% for these companies suggesting that IoT markets may be experiencing lower growth than some market forecasts predict. 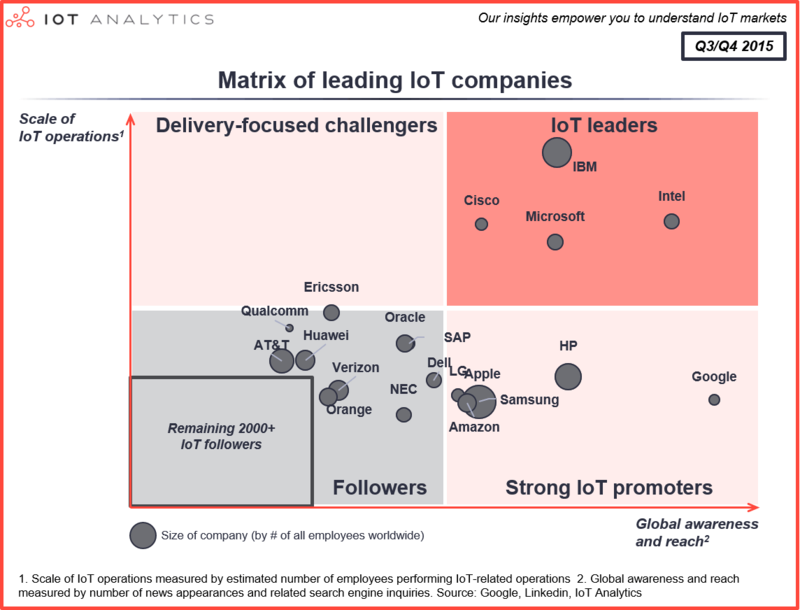 If you are interested in the complete report, including more detailed analyses and a list of the runner-ups you may download your free copy here by signing up to our IoT newsletter. Knud, once again, a very insightful update with lots of interesting data points. Thank you for sharing the findings from your latest worldwide market study. How about NXP (Freescale)? In our evaluation, not only Intel but also the recent ARM techcon.